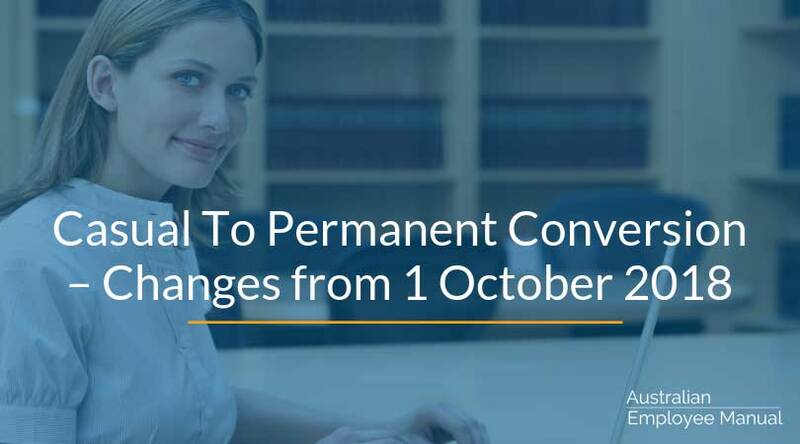 After a long-running review of modern award clauses before a full bench of the Fair Work Commission, changes were made to enable regular casual employees to request to be converted to permanent employment from 1 October 2018. This is not a blanket ruling, which means that while the majority of awards will have the same clause, there are also some differences across some awards to take account industry-specific needs. Ccasuals need to apply to you in writing to have their employment status converted. You need to discuss their application with them, and if you refuse the application, you need to do so in writing within 21 days of the application. Any refusal needs to give the reasons why you have refused the application. There are guidelines as to what constitutes reasonable grounds for refusal. You are legally obliged to let all existing casual employees know about the new award provisions by 1 January 2019. 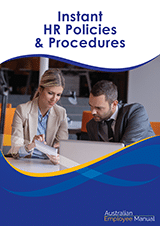 You are legally obliged to let all new casual employees know about the conversion provisions within 12 months of their commencing work with you. Read more about casual to permanent conversion decision. Update your employee manual to reflect the new conversion process. (Our Employee Manual contains an updated clause that you can use). Review your payroll processes to ensure that you know how to convert employees from casual to permanent and correctly account for things such as continuous service. Add a new step to your payroll processes for new casual employees to add a date when you will send them information about the Casual to Permanent Conversion process (e.g. at the 11th-month mark). Send a notice to all existing casual employees letting them know of the changes. (We have a template letter in our HR Forms pack of our Employee Manual). Review the rosters of all existing casual employees to determine any casuals with regular and systematic hours of work that should be converted to permanent employment. One thing to remember is that often employees start as true casuals with irregular work and rosters, but over time we fall into patterns of work and rostering. Recent cases including WorkPac Pty Ltd v Skene show that even though the employee may be called a casual and receive a casual loading, they may, in fact, be deemed as permanent for the purposes of the Fair Work Act. What this means is they may be entitled to back pay for leave and other conditions of employment. It pays to regularly review all casual employees to ensure all are being paid correctly and that they are not, in fact, permanent employees.